← To Bargain or Not in Mexico? 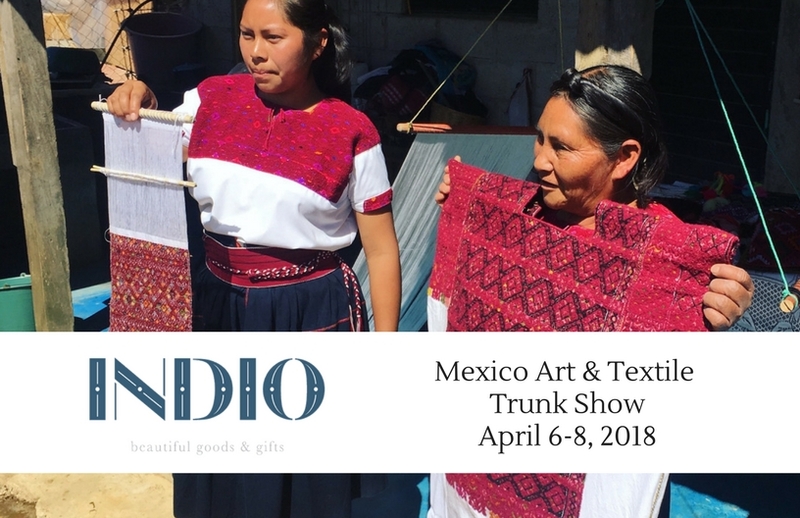 This entry was posted in Chiapas, Clothing Design, Folk Art, Jewelry, Teotitlan del Valle, Textiles, Tapestries & Weaving and tagged Durham, Galeria Fe y Lola, INDIO, Mexico, North Carolina, sale, trunk show. Bookmark the permalink. congrats to everyone involved! wish i could be there! Wish you could be here, too. So looking forward to this wonderful event! 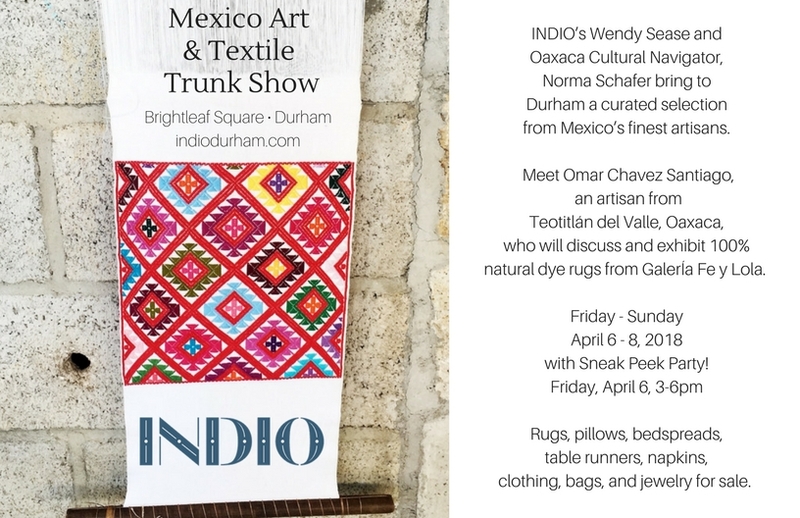 Excited to see you and Omar again! Any long distance early birds allowed? Wonderful! Would love to experience this & will just be back from Ajijic. Will Omar speak at a certain day/time or just be generally available? Great news, Chris. Omar will be there during opening hours Saturday and Sunday, and on Friday starting at 3 pm to closing. So, we will see you soon. Thanks for wanting to be with us.